manufacturing companies. We also distribute our own private label products. When you use Fabtech Systems for your central fabrication you qualify for a 15% discount on products we distribute. Products are packaged and shipped with your fabrication jobs. Being "next generation" means we are more than a typical C-Fab company. We are an extension of the quality service you provide your patients. Because so much of what we do is service related, we incorporate this philosophy into each part of our company. How Are We Different Than Most C-Fab Companies ? We are an practitioner / technician-owned private company not affiliated with a large parent corporation. This means we can provide a unique, customized experience for our clients. We practice lean manufacturing / total quality management theories that help keep our prices low and eliminate wasteful procedures. 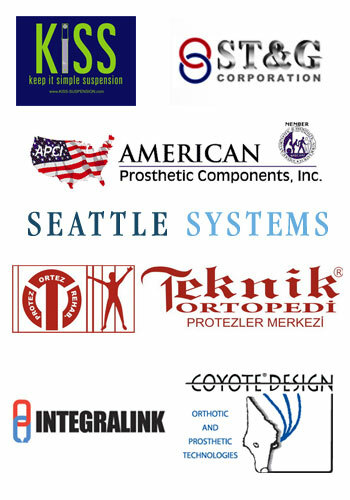 We have developed and distribute our own line of manufacturing technologies - +PLUSeries® Adhesives, Fabtech Prosthetic Quick Clamp, Restech Epoxy Lamination System and a complete line of prosthetic componentry - all designed to help us save you money. Since Fabtech's humble beginnings, ten years ago, things have changed more than we could ever have imagined. We started out in a 545 square foot garage; doing what we knew best-custom O&P manufacturing-just trying to make ends meet. 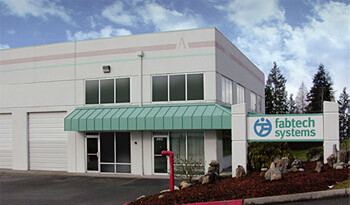 We now find ourselves located in a 6,000 square foot distribution and manufacturing building. We have also grown from two employees to ten and have expanded our services from primarily O&P C-fab to product distribution, custom manufacturing, importing and exporting, product representation, custom O&P manufacturing tool design and sales, O&P consulting and training, and supporting the industry with many education seminars. How did we get here? The answer is simple. We owe it all to our people! We are built on great people-great employees, great customers and great business partners. So once again, thanks to all of the people who have made this company possible and allowed us to help so many. We truly enjoy what we do. It is our promise to you that we will do everything possible to keep delivering the best products and unique services to you in the future. And if you have suggestions on how we can improve, or perhaps you have an idea for an innovative O&P industry solution or product, we'd love to hear from you.